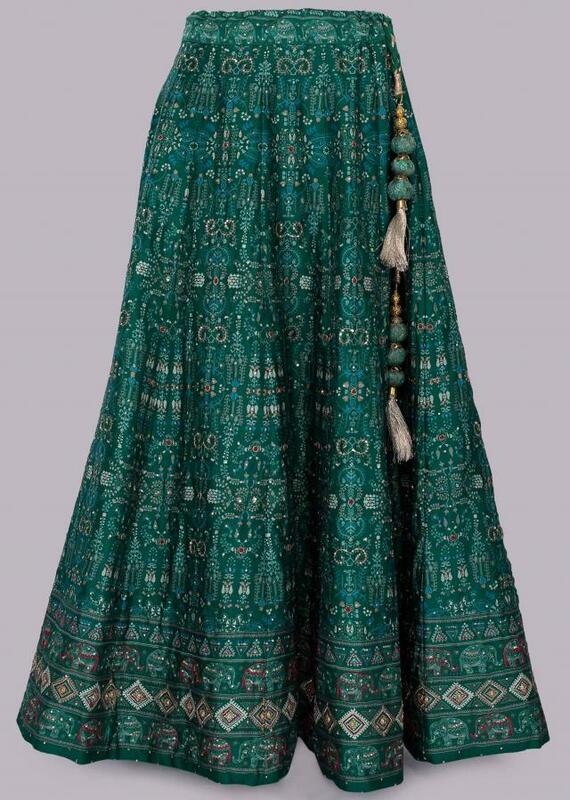 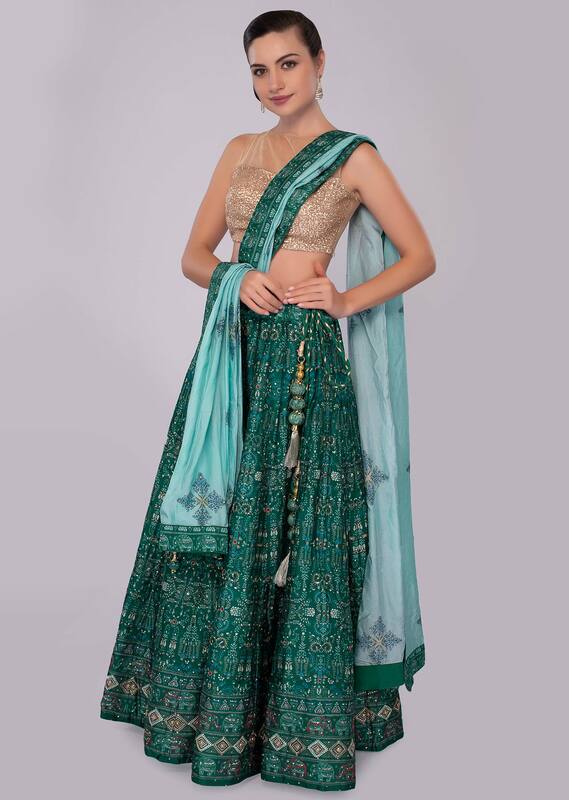 Set a trend with this immaculate emerald green silk lehenga with kali. 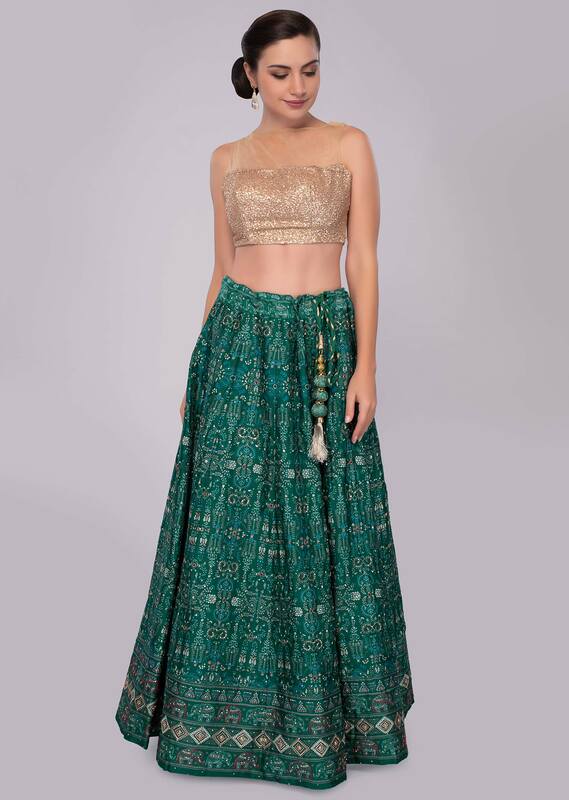 Featuring in patola print with floral and animal print. The print is further beautified with resham, zari, sequins, cut dana and moti embroidery. 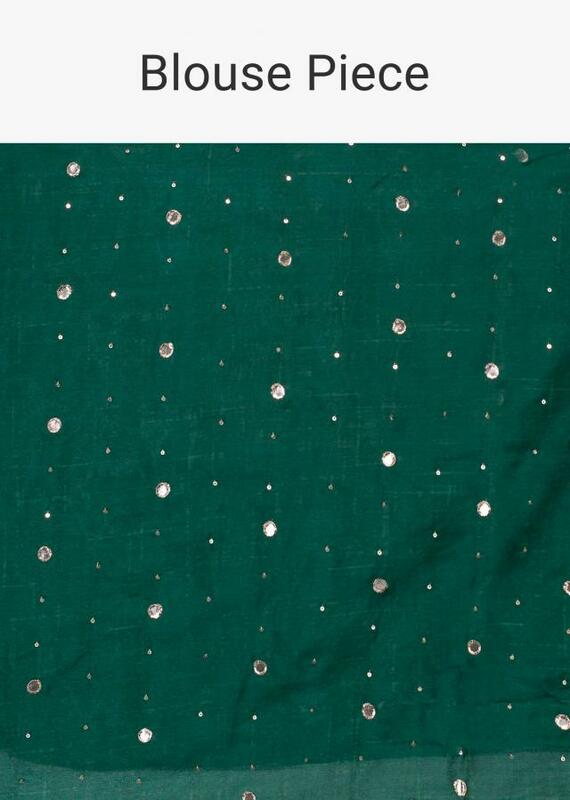 It Comes with a matching silk unstitched blouse with print and sequins and gotta butti. 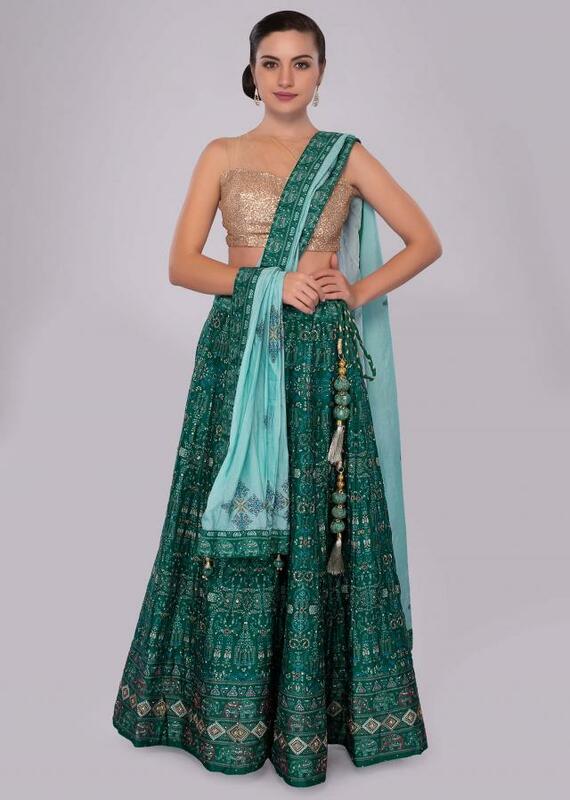 It Comes with a powder blue silk dupatta with printed butti and border with tassel.